Thanks to the generosity of the Byrnes Family, in memory of Joseph R. and Anne S. Byrnes, the Baltimore City Historical Society presents an annual Joseph L. Arnold Prize for Outstanding Writing on Baltimore's History, in the amount of $500. 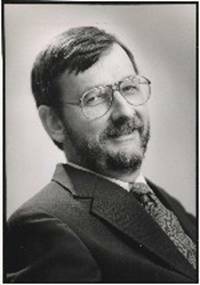 Joseph L. Arnold, Professor of History at the University of Maryland, Baltimore County, died in 2004, at the age of sixty-six. He was a vital and enormously important member of the UMBC faculty for some three and a half decades as well as a leading historian of urban and planning history. He also played an active, and often leading role with a variety of private and public historical institutions in the Baltimore area, and at his death was hailed as the "dean of Baltimore historians." * attach the entry as a single document in either MS Word or PC convertible format. * include any illustrations within the text of the document. There will be a “blind judging” of entries by a panel of historians. Criteria for selection are: significance, originality, quality of research and clarity of presentation. The winner will be announced in Spring 2019. The BCHS reserves the right to not to award the prize. The winning entry will be posted to the BCHS webpage and considered for publication in the Maryland Historical Magazine. For further information send a message to baltimorehistoryprize@gmail.com , or leave a voice mail @ 410-706-7661. The winner of the 2018 Joseph Arnold Prize is Anne Louise Hollmuller for her essay Judged by the Generations: Baltimore’s Confederate Monuments and the Shaping of Historical Memory. The winner of the 2017 Joseph Arnold Prize is Amy Rosenkrans for her essay "The 'Good Work': The Franciscan Sisters of Saint Mary, Mill Hill and the African American Mission in Baltimore." The winner of the 2016 Joseph Arnold Prize is Barry Kessler for his essay entitled “Fresh Air and Cheer”: The Origins of Camp Louise in the Settlement House Movement of Baltimore’s Jewish Community. The winner of the 2015 Joseph Arnold Prize is Aiden James Faust for his essay entitled Neighborhood Matters: What Baltimore Learned from the War on Poverty. The prize was announced at the Baltimore City Historical Society’s Annual Meeting on Saturday June 18, 2016 to be held at 9am at the Druid Hill YMCA. All are welcome! Entries for 2014 were judged by a review panel of six scholars of Baltimore history. Dr. Ed Orser, UMBC, chaired the review panel. The panelists found two of the entries to be of exceptional strength and decided that the conferral of co-winners was merited. Reviewers were impressed that both papers made excellent use of primary documents, developed original arguments, and contributed to an understanding of important aspects of Baltimore history. The prizes for 2014 will be presented at the Baltimore City Historical Society’s Annual Meeting 10:00 am Saturday June 20, 2015 Robert E. Lee Park, Pavilion 2 1000 Lakeside Drive, Baltimore MD 21210. All are welcome. The award ofthe JosephL. Arnold Prize for Outstanding Writingon Baltimore History in 2013 was grantedto Charlotte F. Gerczak for her paper entitled The Courage of her Convictions: the Story of Miriam Brailey. The paper tells the forgotten story of Miriam Esther Brailey, M.D., Dr.P.H., an exceptional woman born with the twentieth century who graduated from both The Johns Hopkins Schools of Medicine and of [then] Hygiene and Public Health. She went on to serve the citizens of Baltimore City and both the public and private sectors and to meet life's challenges with determination and faith, even at the risk of her own security. Eric L. Goldstein, Associate Professor of History at Emory University won the 2012 contest with his essay, How German Were ‘German’ Jews in America in the Nineteenth Century? A View from Baltimore, and was ranked highest by a panel of five distinguished scholars of Baltimore history. The winning paper can be found here. Winner of the 2011 contest was Sara Patenaude, PH.D. candidate in the History Department of Georgia State University, for her paper, Playing Fair: The Fight for Interracial Athletics in Baltimore. The Society thanks all those who submitted entries, as well as the following judges, who helped to select the winners: Dr. John Beihan, Loyola University of Maryland; Dr. Elizabeth M. Nix, University of Baltimore; and Dr. Michael Franch, Past-president, Baltimore City Historical Society. Thanks, too, to Dr. W. Edward Orser, UMBC, who administered the 2011 competition. To view the winning paper, click here. Co-winners of the 2010 contest were Eric M. Daniel, for his paper, Northwest Real Estate Company v. Serio: The "Invasion" of a Northwest Baltimore Suburb, and Jordan Vardon, for his paper, Green v. Garrett: How the Economic Boom of Professional Sports Helped to Create, and Destroy, Baltimore's Memorial Stadium. The Society thanks all those who submitted entries, as well as the following judges, who helped to select the winners: Dr. Jean H. Baker, Goucher College; Dr. Peter B. Levy, York College; Dr. W. Edward Orser, UMBC; and Dr. Kaye Whitehead, Loyola College. To view the winning entries, click here and here.